When I first started my blog I shared ALL KINDS of links. Now, I just save them for a rainy day or something. I don't know. . . I mean, I link up pretty stuff to Pintrest and save the links to some reference information in personal files, but there are still other sites/posts whose importance I want to note. And, you should see the ways in which I hoard links. As such, I want to get back into the habit of sharing my saved links a little. Mind you, I don't plan on sharing as many as I used to, but I want to do a sort of LINK DUMP about once a week. However, I don't really like the term "link DUMP". . .it sounds so crass. So I'd love to come up with something else. Let me know if you have any suggestions for it. Over at B'Sue Boutiques there's a Messy Workshop Blog Hop going on. Somehow I missed getting in on this one even though my craft desk looked like this when I walked into the craft room yesterday. GAH!! 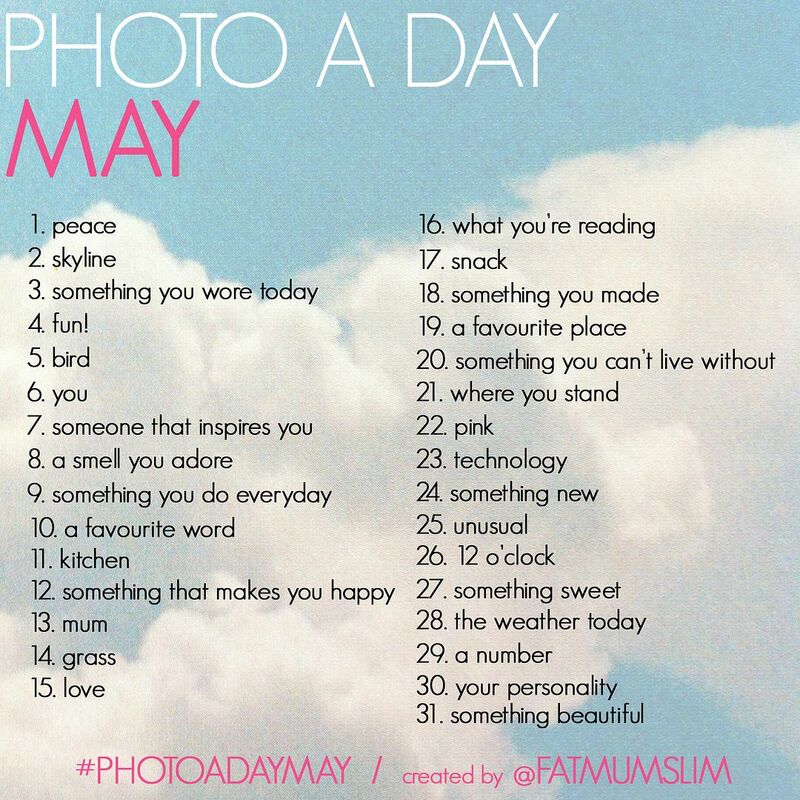 Since May is fast approaching, I should let you know that Fat Mum Slim has posted her May Photo A Day Challenge list. I'm a big fan of her creative photo prompts and her blog's not to shabby either. Information about how to participate can be found on Fat Mum Slim's blog! Have you had a chance to stumble upon The Bloggess yet? I understand she might not be for everyone; she's a little dark, twisted, and outspoken about everything (I mean EVERYTHING). But, if you like that kind of thing you should seriously check her out. One of her most recent posts was a re-post while she's traveling on her book tour, but it's a great example of her sick and hilarious mind. 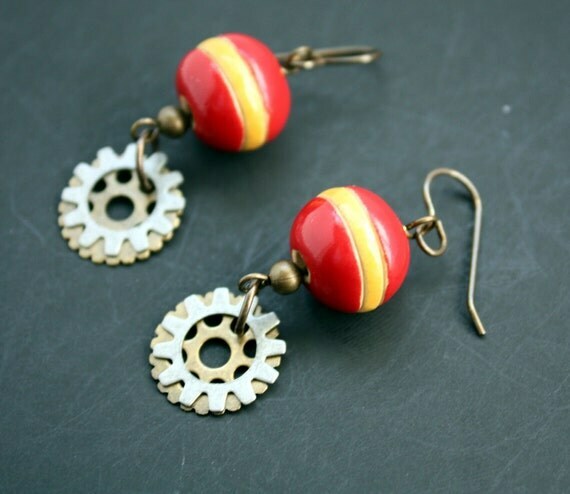 Michelle Mach over at Beads & Books did a post a few weeks ago on How to Find Craft Shows. This is definitely a link I would usually have saved as "for reference" but I thought y'all might need it too. I've been thinking more and more about jumping on the craft show bandwagon. I even created a Craft Fair Inspiration Pintrest Board and joined the Arts & crafts fairs & shows Flickr Group for additional inspiration. Do you have Craft Fair tips for me as well? I'd love to hear them! Claudine Hellmuth has started a serious called Finding you Artistic Style. At the beginning of the year, one of the goals I had set for myself was to "find my passion" and this series of Claudine's falls right in line with that. She has two posts up on it right now. Find the first one here and the second one here. I think that's plenty of links for today. Remember that I'm looking for a better name that link dump for this type of post! Thanks for checking it out! Thanks for the mention and for sharing that photo-a-day challenge. That looks like a lot of fun! Thanks for all the great links. I'm headed to check them out. 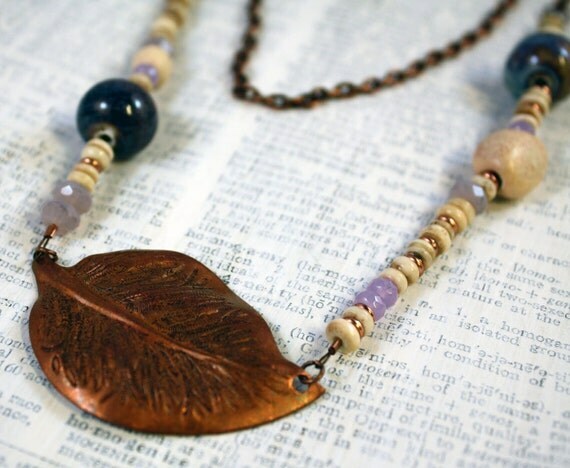 Your jewelry is beautiful, especially the calm storm necklace! How about Link Soup? Or Link Salad? I kind of like "link dump", but then again, I'm the kind of girl that gets really excited about going to the dumps. Gotta go check out all your links now. Jenna- Thanks for the suggestion! I've actually never been to the dump around here, but I think its more of a landfill than a dump anyway. My concern with the word dump is one of its slang uses (i.e. "Taking a dump"). EEK! This is a wonderful post and very informative thank you for sharing. I'm not any good at coming up with names, but you have been given some pretty good suggestions.